You and your fiance have likely given a lot of thought to the audio needs for your wedding reception – music, toasts, announcements, etc. But one often overlooked detail of the big day is sound for your ceremony. 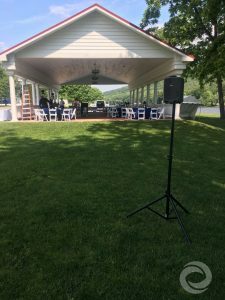 Traditional church weddings may take care of music and audio, but if you're getting married at your reception venue or somewhere off-site like a beach, you'll likely be on your own in terms of setting up a sound system. 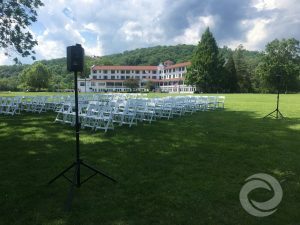 That's where Hurricane Productions can help: We offer complete ceremony sound packages as part of our services to make your wedding day as stress-free and enjoyable as possible. Whether you and your spouse-to-be are exchanging vows indoors or outdoors, we'll be able to accommodate you with an auxiliary sound system for the duration of the ceremony. When you book Hurricane Productions for your wedding entertainment, we'll work with you to plan out the timing for ceremony – everything from the processional and recessional music to any special songs you want to play during the event. 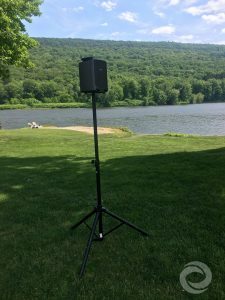 You, your officiant and anyone speaking at your ceremony will be heard by all your guests over our crystal-clear system, which includes speakers, a microphone and a mic stand. 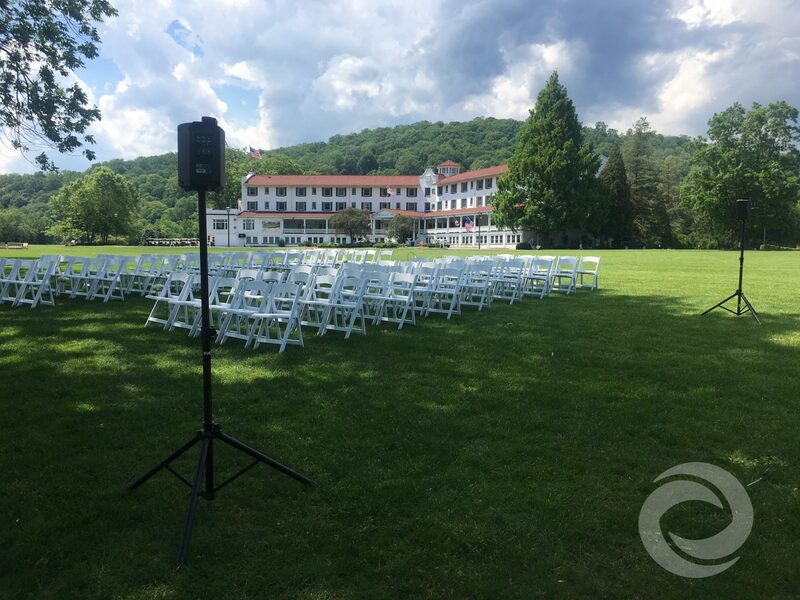 Because our setup is completely wireless, no one has to worry about tripping over cords as they walk down the aisle. 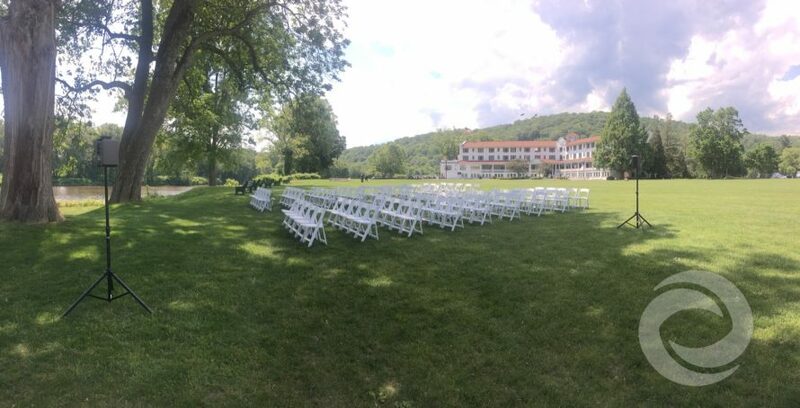 It's also ideal for remote locations like lakefront or garden weddings, since we can run everything on battery power. 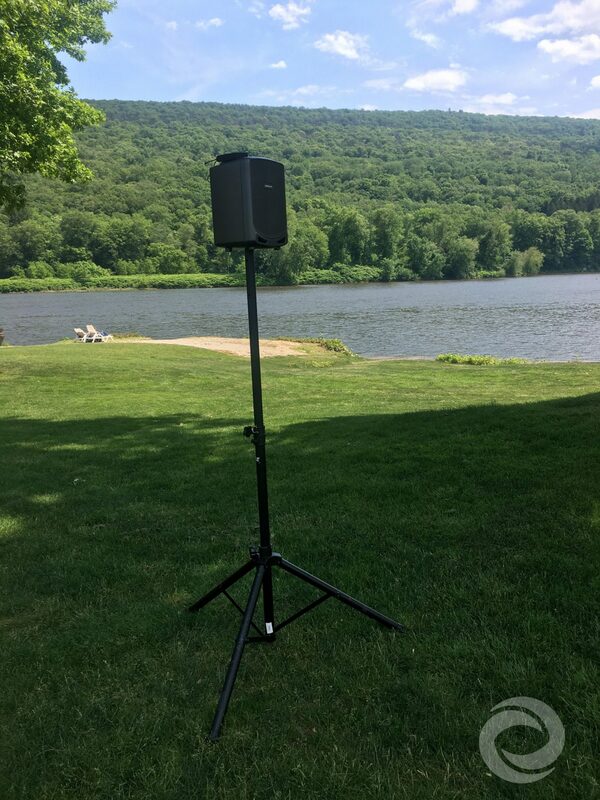 If you're interested in having Hurricane Productions provide the sound for your wedding ceremony, please check your date availability or check out our pricing.